The new floral is strong, modern and sometimes eye-popping like this Diane von Furstenberg print. 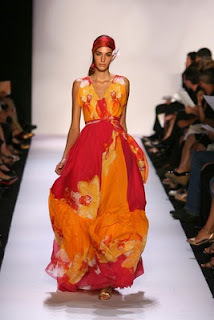 This is such a beautiful dress and I love the colors. So great for summer!